Analysis: Attached to a dome team with an elite offense, Lutz owns career conversion rates of 87 percent on field goals and 97 percent on PATs. He's been a reliable starter for fantasy owners, with the only drawback being the Saints' consistent excellence in converting red-zone opportunities into touchdowns. While he hasn't shown the same ceiling as a Justin Tucker or Greg Zuerlein, the 24-year-old has a strong argument to be drafted as a top-five kicker in 2019. 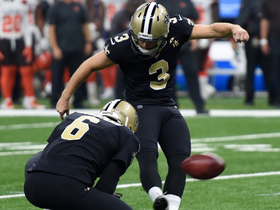 Analysis: Lutz performed solidly for the Saints in the postseason, going 5-for-6 on field goals while hitting all four of his extra points. His lone miss came on a 52-yard field goal against Philadelphia in the divisional round. He'll now set his sights on again being one of the league's top kickers in 2019. 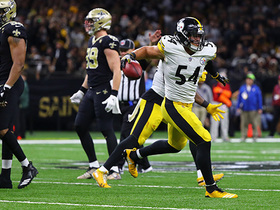 Analysis: Lutz converted from 46 and 24 yards on his respective attempts, but had his opportunities limited again by a New Orleans offense that struggled in comparison to its standard. The kicker has now gone four straight games without double-digit points, a noticeable decline from his five through the Saints' first 10 outings. Analysis: The Saints' high-octane offense has made Lutz a valuable commodity in many leagues. Following Sunday's performance, Lutz extended his streak of regular-season contests with a field goal to 34 games. Factoring in his efficiency and an opportunistic offense, Lutz remains a top option each week. Analysis: Lutz still hasn't missed since Week 5, but he didn't get as many opportunities as usual as New Orleans' offense was surprisingly stymied. In fact, his four points marked a season low. Fortunately, his upcoming matchup against the Buccaneers figures to be a higher-scoring affair. Lutz (back) does not have an injury designation for Thursday's game against the Cowboys. Analysis: Lutz was upgraded to full practice Wednesday after having been limited to begin the week, and appears to have fully recovered from his back injury. The 24-year-old has not missed a kick since Week 5 of the regular season, and remains one of the top fantasy options at the kicker position heading into Thursday Night Football. Lutz was a limited practice participant Monday due to a back injury. Lutz converted both field-goal attempts and all six of his extra-point tries during Sunday's win over the Eagles. Analysis: Lutz benefits from an incredible floor in New Orleans' high-octane offense, and he has not missed a kick since Week 5 of the regular season. The 28-year-old remains one of the top fantasy options at the kicker position heading into Thursday's tilt against the Falcons. Lutz converted all three field-goal attempts and all three extra-point attempts during Sunday's 51-14 win over the Bengals. Analysis: Lutz has not missed a kick since Week 5. The 24-year-old remains one of the top fantasy options at his position due to the Saints' high-powered offense, and he appears in line for another strong performance against the Eagles on Sunday. Lutz made his only field-goal attempt and converted all six of his extra-point tries during Sunday's 45-35 win over the Rams. Analysis: Lutz's only field goal attempt came on a successful 54-yard try. The 24-year-old has converted 16 of 17 field-goals and 27 of 28 extra points this season. Lutz's accuracy and presence in New Orleans' high-powered offense make him a top fantasy option at the kicker position. Lutz converted all three field-goal attempts and all three extra-point tries during Sunday's 30-20 win over the Vikings. Analysis: Lutz logged another strong fantasy performance in Week 8, including a long field-goal attempt of 52 yards. New Orleans will face off against the Rams on Sunday, so Lutz should once again benefit from a high-scoring game in Week 9. Lutz converted his only field-goal attempt and all three extra-point attempts during Sunday's 24-23 win over the Ravens. Analysis: Lutz was perfect on his attempts, but he didn't receive the necessary volume to achieve fantasy success. He'll look to bounce back against the Vikings on Sunday. Lutz made a 44-yard field goal but missed one of his five extra-point tries in Monday night's 43-19 win over the Redskins. Analysis: Lutz has now missed one extra point and one field goal so far this season. Thanks to his 26 total makes, however, he's still racked up 48 points over five games. Lutz was 4-for-4 on field-goal attempts and made his lone extra-point attempt in Sunday's win over the Giants. Analysis: Lutz has been perfect over the past two weeks, connecting on seven field-goal attempts in that span. He'll look to maintain perfection next Monday against the Redskins. Lutz made three field goals -- from 49, 45 and 21 yards -- and four extra points in Sunday's win against the Falcons. Analysis: Lutz was busy in the victory in Atlanta, and his clutch extra point with just over a minute in regulation helped send the game to overtime. Although Lutz probably has only league-average accuracy, he has a big leg and is backed by the Saints' explosive offense, which makes him a solid fantasy option most weeks. Lutz made all three of his field-goal attempts and all four of his extra-point tries en route to 13 points in Sunday's 43-37 win over the Falcons. Analysis: Lutz' point tally tied for the second highest in any game across his three-year career. All three of his field goals came during the second quarter, when he converted from 49, 21 and 45 yards. He'll hope New Orleans' prolific offense can give him more chances to shine in Week 4 versus the Giants. Lutz was 2-for-3 on field goals and was successful on his only extra-point attempt in Sunday's win against the Browns. Analysis: Lutz missed from 44 yards out in the second quarter, but he converted a 31-yard kick in the first quarter and the game-winning 44-yarder in the final minute of regulation. Although the Saints struggled for most of the game against an improved Browns defense, the team should continue to provide plenty of scoring opportunities, giving Lutz a solid floor in most fantasy leagues. Lutz converted his only field goal -- a 36-yard kick -- and all three of his extra-point attempts in Sunday's loss to the Buccaneers. 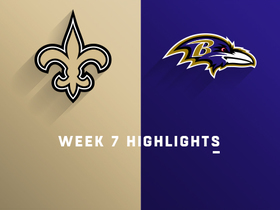 Analysis: The Saints offense posted five touchdowns but elected to attempt two-point conversions on the team's last two scores while attempting a furious comeback. The end result was a relatively meager output from Lutz despite New Orleans scoring 40 points. Still, Lutz remains a solid kicker option in most leagues so long as he backed by Drew Brees and one of the league's most prolific offenses. Lutz is in no danger of losing his job, Larry Holder of The New Orleans Times-Picayune reports. Analysis: Lutz was reliable but unspectacular the past two seasons, converting 59 of 70 field-goal attempts (84.3 percent) and 96 of 100 extra-point tries, though he only went 7-of-12 from 50 yards and longer. His strong job security on a high-scoring dome team should lead to continued fantasy relevance even if he's merely decent from a real-life perspective. Lutz made three extra-point tries and a 43-yard field goal in Sunday's 29-24 NFC divisional-round loss to the Vikings. He also missed a 58-yard field goal. Lutz made one field goal -- a 57-yard kick -- and four extra-point tries in Sunday's 31-26 playoff win against the Panthers. Lutz made all three of his field-goal attempts (40, 29 and 45 yards) and both his extra-point tries in Sunday's 23-13 win over the Falcons. Analysis: Lutz has now reached double figures on six occasions this season, moving him into fifth in scoring league-wide. Lutz made a 23-yard field goal and all four of his extra-point tries in Sunday's 31-19 win over the Jets. Analysis: Lutz's seven-point performance brought his tally to 123 this season, ranking him fifth in the category league-wide. Lutz made one field goal and two extra-point kicks in Thursday night's 20-17 loss to the Falcons. Analysis: Atlanta dominated the time of possession, which limited the Saints' offensive opportunities. 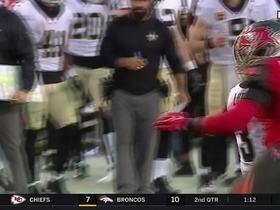 Lutz was also deprived of a field-goal attempt in the final minute of the game when quarterback Drew Brees threw an ill-timed interception in the red zone to seal the loss. It was a tough game for owners relying on Lutz in their fantasy playoffs, but the Saints' kicker should be presented more scoring chances in Week 15 against a Jets defense that ranks in the bottom 10 in the league in points allowed. Lutz made a 31-yard field goal and missed wide right from 38 yards in Sunday's 31-21 win over the Panthers. He also made all four of his extra-point tries en route to seven total points. Analysis: Lutz has scored at least six points in every game this season, including five double-digit performances. Overall, that production gives him the third-most points (111) league-wide. Lutz converted both of his field-goal attempts and extra-point tries en route to eight points in Sunday's 26-20 loss to the Rams. Analysis: Lutz has registered at least eight points in all but one game this season, helping him accumulate the third-most points (104) in the league. Lutz made four field goals and two extra points in Sunday's 34-31 comeback win against the Redskins, including converting the game-winning 28-yard field goal in overtime. Analysis: Lutz had been scuffling some of late -- missing a kick in three of his last four games -- but he was perfect in a busy Week 11. 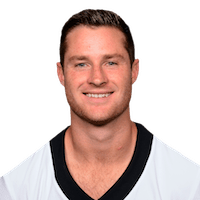 The big-legged kicker has notched double-digit points in nearly half the games this year and continues to have a stable floor, with the Saints averaging over 30 points per game. Lutz converted both of his field-goal attempts and five of his six extra-point tries en route to 11 points in Sunday's 47-10 win over the Bills. Analysis: Lutz now has four double-digit scoring outings this season, but upon missing an extra point Sunday, he's only made all his kicks in three of nine appearances. Given the Saints' offensive production, however, he still boasts 82 points on the campaign. Lutz made one field goal -- a 40-yarder -- and three extra-point attempts in Sunday's 30-10 win against the Buccaneers. He also missed a 43-yard field goal wide right and had an extra point blocked. Pittsburgh Steelers linebacker L.J. Fort comes up with a critical field goal block to deny the New Orleans Saints points. 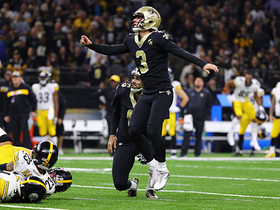 New Orleans Saints kicker Wil Lutz launches a go-ahead 43-yard field goal through the uprights before the half despite the Pittsburgh Steelers being offsides. New Orleans Saints kicker Wil Lutz kicks a 33-yard field goal for the Saints' first points of the game. 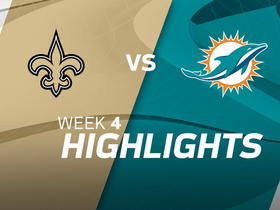 Watch the highlights from the New Orleans Saints 20-0 victory over the Miami Dolphins in London during Week 4 of the 2017 NFL season. 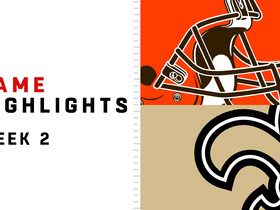 Saints fail to convert on fourth down with fake field goal. 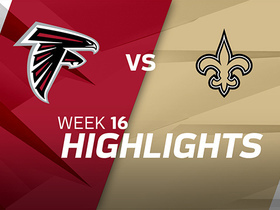 The Atlanta Falcons faced off against the New Orleans Saints in Week 16 of the 2017 NFL season. 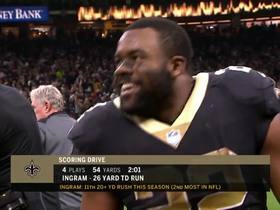 New Orleans Saints running back Mark Ingram celebrates with Skittles on the sideline.